I never thought I would feel and look better than I ever have AFTER having 2 kids! I’ve always lived a healthy lifestyle and be involved with athletics but even though I continued doing CrossFit throughout my pregnancy with Baylor, I still gained 60 pounds!! HOW DOES THAT HAPPEN!?! Straight up people…I have no idea! Pregnancy was one of the most beautiful, amazing, glorious blessings I have been able to experience but it was also one of the hardest things that my bodies been through PHYSICALLY . 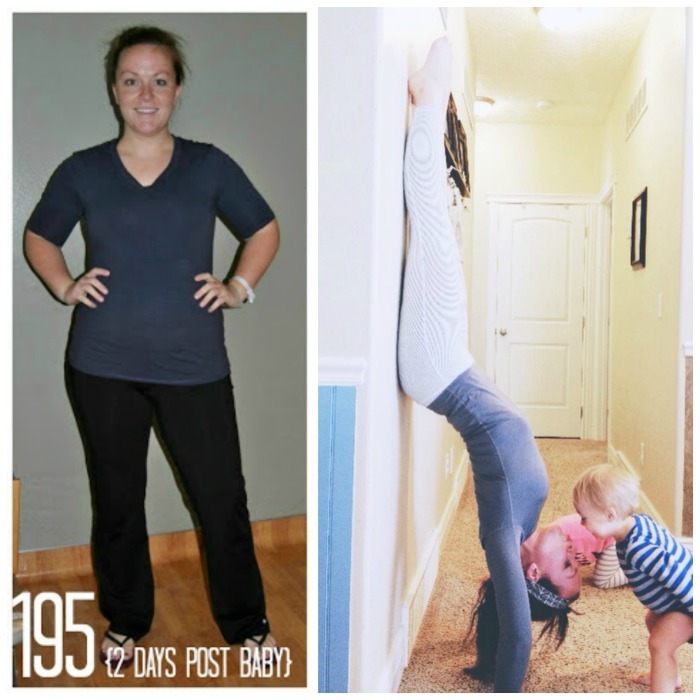 After having my little boy, I knew I had a long way to go…and after months and months of clean eating and CrossFit workouts, the weight came off! TO LEARN MORE ABOUT MY JOURNEY (CLICK HERE) Then after my baby weight was off I set new goals and continued to lose weight! This journey has been the most empowering and fulfilling experience! 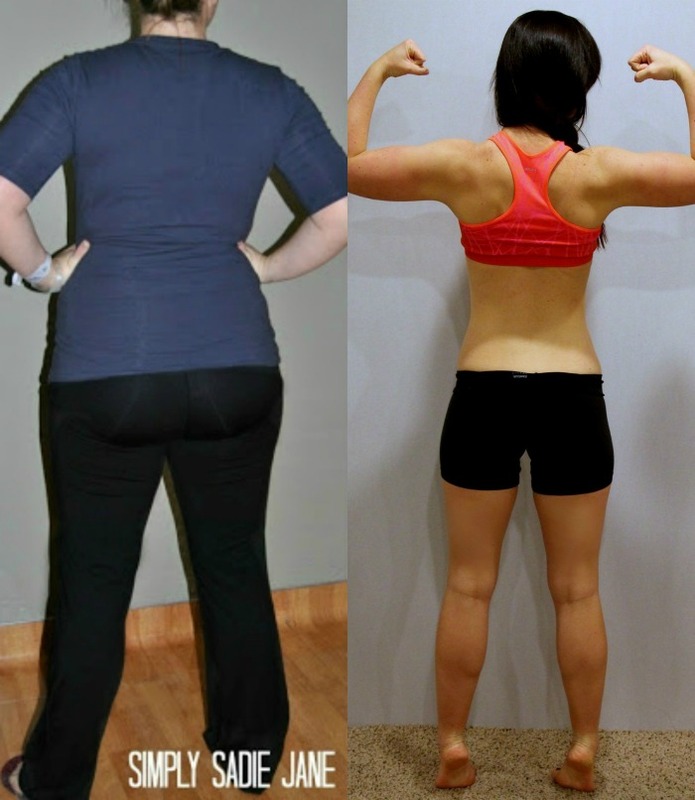 I have fought many mental battles and although some battles were lost, the weight lose war was won! (yes, I am adding cheesy figurative language to this post) I’m not anywhere near done and with each goal accomplished, I eat a cupcake, and make more goals!! About 9 months ago my husband and I sadly said goodbye to our CrossFit gym that we were attending and started building a CrossFit gym in our garage! (CLICK HERE TO LEARN MORE) and (HERE TOO!) We have learned SO much over the last 9 months and it’s been SO fun to share some of that with all of you!! HERE ARE THE LINKS TO ALL THE OTHER WEEKS! ENJOY! 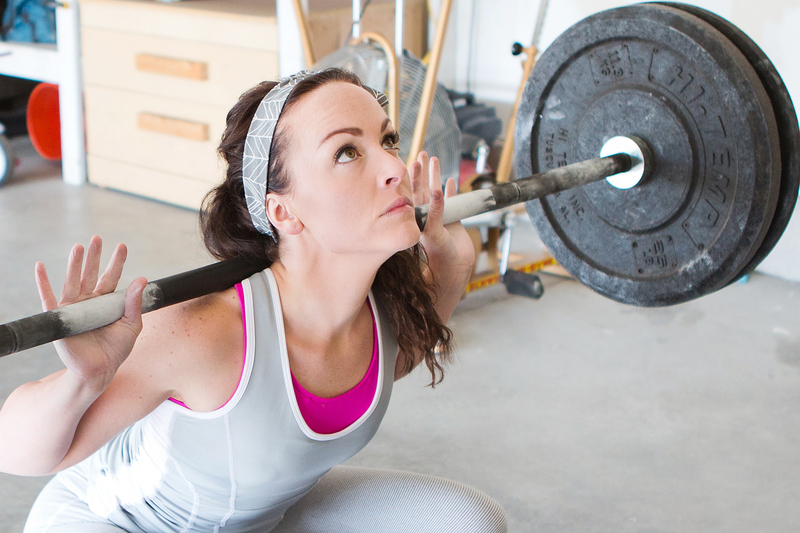 As much as I LOVE my CrossFit garage gym, I soon realized that even those posts about my at-home gym weren’t being AS helpful as they could be! I mean some of you women might not have a garage to workout in, or a husband that has time to bust out a DIY pull-up bar, or maybe you’re a home body and you want to find a way to get results in the COMFORT of your own home! A friend of my, Kristen from Capturing Joy with Kristen Duke (you guys need to head over to her blog to get a 6 week check list printable) emailed me about 2 months ago, asking me to put together a 6 week CrossFit inspired at-home plan that didn’t require any equipment other than some hand weights and a jump rope!! Let’s be completely honest here guys, this was tough! But with my husbands help, we bested it out and sent it her way!! Now that she has started her journey I cannot wait to share with you what we came up with! 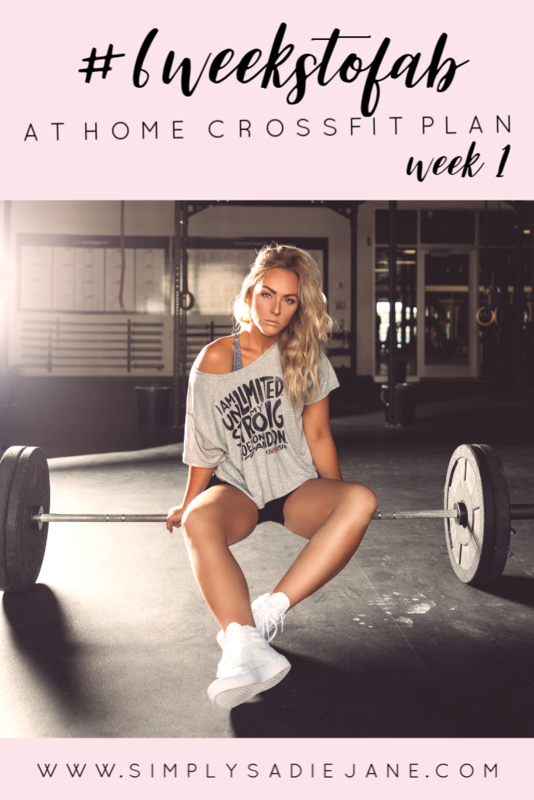 Whoever you are and whatever your story may be, this new PINNABLE 6 week at-home CrossFit plan is sure to benefit even the fittest person! My husband and I have personally put together EVERY ONE of these workouts and let me just say right now, they are tough!! I did the workout already for today and it was HARD!! BUT, that’s the point!! I want all of you to strive to do your best during these workouts and if you have to modify it a bit than you can!! There are 6 workouts a week on this plan…if you haven’t worked out a day in your life…this will kill you. I mean it will physically make you die! HAHA JK…but it will be really tough, SO…the biggest part about this plan is to SET GOALS!! Set yourself a goal to workout 3 times a week at first and than increase to 4 times a week as you go through this program!! I will be here for you every step of the way!! Email me your questions if you’re not sure what a specific movement is or how to do it! When I’m not able to make it to the gym, I will do one of these workouts with you all and post about it! There is NO REASON we can’t gain inspiration from each other every step of the way! Follow me on instagram @simplysadiejane to gain some motivation and drive! Remember to PIN this to your pinterest board and email me for any questions! HUGE SHOUTOUT to my best gal pal Rachael for putting this AMAZING image together for me! She’s like the photoshop queen!! FOR ALL MY NEWBIES OUT THERE!!! …and the number sequence 5-5-5-5-5 or 21-15-9 means how many times you do that movement so for the Day 1: STRENGTH you do 5 rounds of 5 weighted squats and for the WOD portion: you do 21 jumping squats, 21 pushups, 21 mountain climber and 21 situps…THEN…you do 15 of all those and then 9!!! EMOM: Every Minute On the Minute! So if you have to do 10 burpees EMOM, you start at the beginning of one minute and BUST OUT those 10 burpees then rest UNTIL the start of the next minute!! DOUBLE UNDERS: this is just jump roping but you swing the jump rope twice under your feet when you jump up! This took me MONTHS to master! Singles work great as well! Does that make sense?…email if you have any questions! I ended up making a really ghetto video that explains all the movements involved in the at-home workouts! ENJOY!